I’m no stranger to divorce during bad financial times. I was admitted to the bar in 1988, during a huge financial downturn. Pretty quickly after that, there was a huge mortgage meltdown, sort of like what’s happening now, and everyone’s house was upside down (they owed more than it was worth). This time is different, however. Back in the day, most of my clients who were broke simply moved back to their parents’ house. Nowadays, that just doesn’t seem to be happening as much. Instead, people continue to try to live together to save money. It sounds like such a good idea–let’s just decide how to divide the bills and stay out of each other’s way, and we’ll just stay in the same apartment or house until the economy improves. And if you weren’t invovled in a love relationship that’s gone south, it probably would be a good idea. What people don’t anticipate is that once you’ve decided that the love relationship is over, and separation or divorce is imminent, it gets harder and harder to live together like roommates. Because you’re not roommates. You’re former partners. And as much as I’ve gotten into fights with roommates (my freshman dorm roommate who addicted to the Oak Ridge Boys comes to mind) they’re nothing like the kinds of fights we can get into with people we’ve been intimate with, and people with whom we started to build dreams. And most of the time, we’re right. It’s really sad. “I didn’t mean to have her arrested!” our client protests. “You can thank OJ Simpson for the automatic arrest rule,” we reply. Let’s face it. If it’s urgent and important enough to call 911, surely someone ought to be arrested or in an ambulance. Right? So when you’re pinching pennies in your divorce (which is a good idea) be careful to think about the potential fallout from cutting back on that particular item. Would you rather couch surf, or spend the night in lockup? If you pick a bargain lawyer, mediator or therapist, are you really getting the kind of service that will serve your long term goals? If you refuse to spend money on accountants or appraisals the professionals helping you with your case tell you you need, you’re saving money now, but will it save you or cost you in the long run? And don’t forget the non-direct monetary costs. 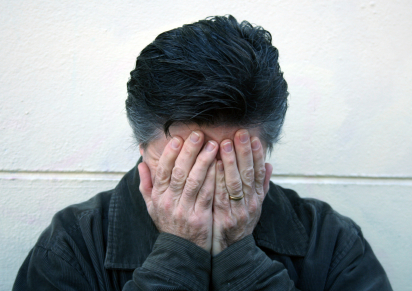 Do you think it’s random bad luck that a huge percentage of our divorcing clients have recently lost their jobs? Of course, we’re in the middle of a terrible economic time, but if these folks had been less embroiled in their divorce fight and more engaged at their jobs, would they have been the ones laid off? Can your credit score rebound from “I’m not paying the credit card this month, YOU are!” type of fights? Can your kids rebound from your fight at their soccer game in front of their friends? 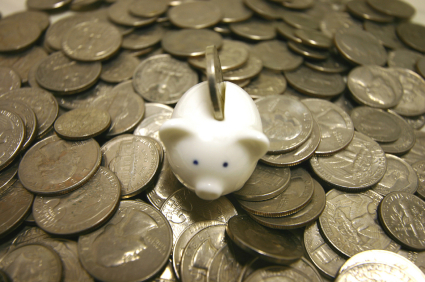 So when you consider the cost of divorce, also consider your short and long term divorce goals. Diana Mercer is a mediator with Peace Talks Mediation Services, Inc., and the co-author of Making Divorce Work (Penguin 2010). California has its own personality with divorce. One of only 9 states that follows Community Property law, California seems intent on doing things its own way. But a divorce in California doesn’t need to be complicated. At least not the legal part. Because California community property law is so simple: everything is 50/50 from the date of the marriage until the date of separation (assets, debts, everything), the complex part becomes all about the exceptions to the very simple rule. And there are plenty of exceptions. What I like about mediation, at least mediation with an attorney-mediator, is that you can talk about the rules and the exceptions, and the laws and case law that supports each side in a very open way. When we have these legal discussions at Peace Talks, if it’s something clear-cut under the law, we can give people a copy of the law, or a handout that explains. Once everyone has heard both sides, we can then talk about what seems fair. The problem with going to only 1 attorney, individually, is that you’d just hear the argument that favored your side, while your spouse would be in another attorney’s office hearing the argument that favors the other side. See the issue? I’m convinced that when people have the information, time, and support that they need to make a good decision, that they will make a good decision. And that’s what mediation is all about. Sometimes I hear criticism of mediation, like that a participant is feeling like the mediator is taking sides, or that their position isn’t being heard. Speak up! Part of a mediator’s job is to make sure you don’t feel that way, but sometimes it’s not clear from the discussion that someone is uncomfortable. Bring it up! It’s really important to the process, and your mediator WANTS to hear that you feel like the mediation isn’t working. It’s much easier to fix that problem in the session, while you’re there with the mediator, than afterwards. If you do speak up and your mediator gets defensive, then maybe it’s time to switch mediators. It’s the mediator’s job to hear everyone’s side and where they’re coming from, even if the mediator doesn’t personally agree. After all, it’s about the clients and participants, not about the mediator. In response to the recession, Peace Talks now offers a couple of new services for low cost divorce and uncontested divorce California. 1) $995 paperwork only service: for couples who already have an agreement and who just need the paperwork, we’ll do all of that for $995. This is no mediation time, no contact with an attorney or mediator….just the Peace Talks head paralegal who will do the intake and all the paperwork. Linda Duarte (our head paralegal) is also a trained mediator and is able to handle minor things that come up, but Plan A is that people using this service already have an agreement and don’t need any legal information or dispute resolution. As a practical matter, we have an in-house attorney draft the Judgment, or at least the important parts of it. The attorney also supervises and proofreads the work, but is not in contact with the clients. For more information, contact Linda Duarte at Peace Talks Mediation Services, (310) 301-2100. As always, we offer a free mediation orientation where you and your partner/spouse can meet one of our mediators and decide if the process will work for you. Click for a 90 second video about mediation orientations. More and more people are choosing mediation rather than litigation. Why it has taken so long to catch on, when the benefits of mediation are obvious, is beyond me, but better late than never. There are huge advantages when you mediate your divorce, family law, custody, child support, alimony, spousal support or modification issue. If you’ve spent any time on our mediation website, you already know how passionate we are about mediation and its benefits. A new couple came in for mediation recently. They’d already spent about $100,000 on lawyers’ fees and going to court, and had gotten basically nowhere. That’s not unusual forLos Angelesin terms of divorce lawyers and legal fees in court. It looks like they’ll settle their case with Peace Talks for about $5,000. We’ve accomplished in a few hours what the lawyers didn’t do in four years. That’s the difference Peace Talks can make. Divorce Threats: I’ll See You in Court! There’s often a lot of grandstanding in divorce court proceedings. A lot of people say, “I’ll see you in court!” not knowing exactly what that means. In the moment, they don’t like what they’re hearing, whether it’s in mediation or around the kitchen table, so they say, I’m done with this!” not realizing that saying “no” to whatever settlement process you’re engaged in means you’re saying “yes” to something else. And so before you choose litigation, here are some things we thought you might like to know. In California divorce courts, many clients think they’re going to get the Atticus Finch style representation in To Kill a Mockingbird in court. The truth is, however, that if you get 10 minutes to state your case in a divorce court proceeding, you’re lucky. Mediation is not just a less expensive and time-consuming divorce alternative; it also lets your whole story be expressed. So don’t think of me as some self-interested Southern California divorce mediator who wants to drum up business (which I am, I suppose, but I’m also interested in helping people get divorced without losing their shirt or their sanity). Think of mediators like me as the moderators in a reasoned debate that will produce the fairest result in your own divorce situation. California has closed entire courthouses since the recession began. In Los Angeles County, there’s a monthly furlough day that’s mandatory where there’s no court staff and the courthouse is closed. And these built-in delays are BEFORE you are likely to get two sentences plus a pile of paperwork to hand the judge, and then your “hearing” is over. Over 41,000 couples go through this divorce process in Los Angeles County every year. Don’t believe these divorce court facts? See for yourself! Take a court field trip! It’s free and open to the public. Court Field Trip: At different points during the mediation session, many couples can feel like court would be a good option for resolving some of your divorce or impasse issues. Before you make a final decision as to whether court would be a good option for you, we suggest that you visit the Superior Court at 111 N. Hill Street, 2nd floor, Los Angeles,CA 90012 (or your local courthouse if you’re not in Los Angeles) and see for yourself what goes on in the family courtrooms. We think it makes sense for you to have all the information before you make final choices about going to court or choosing mediation as the vehicle to navigate your divorce, and which presents the best choice for you. Peace-Talks paints a fairly bleak picture of the litigation process, and the pros and cons of using divorce court to resolve your dispute. It’s based on considerable family law experiences, but you don’t need to rely on our version: you can go the courthouse and see for yourself. All court files and divorce proceedings are public record, which means you can look up anyone’s file in the filing room (room 112), or sit in on anyone’s divorce case in any of the family court rooms (most are on the 2nd floor in the downtown Los Angeles courthouse. By going to court, you can observe the litigants, lawyers, bailiffs and judges. 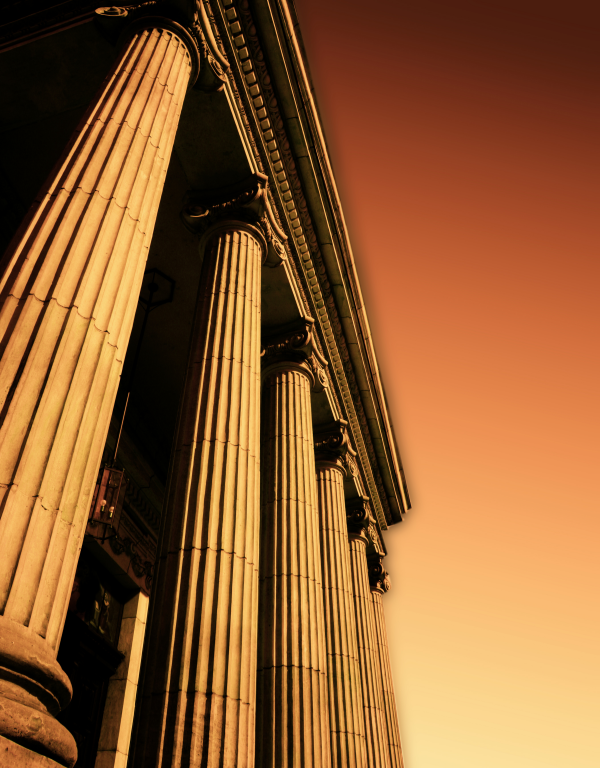 You can see and feel what the court experience might be like for your divorce process, divorce settlement, and pos-divorce issues if you were to choose to go to court for your case. You can get an idea of how much time a judge has to hear each case, as well as the opportunity litigants have to speak to the judge, their lawyers, and the other party. You can see how much attention the court proceedings give to individuals’ goals, values, common interests, and creative non-judicial solutions regarding child support, visitation and parenting plan mediation and administration. We think that you’ll agree with Peace-Talk’s divorce mediation service, but it’s important that you witness Los Angeles divorce court for yourself. If you’re seeking divorce information in Los Angeles, Beverly Hills, or the SouthBay, visit https://www.peace-talks.com or call 310-301-2100. If you’re not near Los Angeles or Orange County, you can find a mediator near you at mediate.com. For more information, visit http://www.makingdivorcework.com. Diana Mercer is an Attorney-Mediator, and the founder of Peace Talks Mediation Services, https://www.peace-talks.com. She is the co-author of Making Divorce Work: 8 Essential Keys to Resolving Conflict and Rebuilding Your Life (Penguin/Perigee 2010) http://www.makingdivorcework.com and Your Divorce Advisor: A Lawyer and a Psychologist Guide You Through the Legal and Emotional Landscape of Divorce (Simon & Schuster/Fireside 2001) http://www.yourdivorceadvisor.com and writes for the Huffington Post http://www.huffingtonpost.com/diana-mercer as well as her own blog Making Divorce Work http://makingdivorceworkblog.com. Divorce law varies state-to-state, and California has the distinction of being one of 9 states that have enacted a Community Property law. As a divorce lawyer in Los Angeles, this actually simplifies things (at least initially) because California follows the 50/50 rule. Partners each get 50% of their collective property from the time they tie the knot to the day their separation is official. This includes all property (cars, houses, pets, even debts). Doesn’t matter what it is, if it happens the marriage is added to the Community Property (sometimes called “marital property”) and then split equally upon divorce. Here’s how you can, with Family Mediation Services. What is Mediation? Mediation with an attorney-mediator is like “divorce made easy.” The advantage to Mediation is you can talk things through. In a mediation session, we answer all of your questions about the laws applying to your case. We define it from both sides, what each law and exception means to each spouse. Then we talk about the facts that may sway a case one way or the other. All this is very open, with all sides participating in the dialogue. At Peace Talks we make sure nobody is left out of the conversation. Being an Attorney-Mediator, I am allowed to facilitate the discussion without taking sides or representing just one spouse. I can talk to you about legal information without giving advice. Everyone can be in the same room and hear both sides of the story. From there we can get to the bottom of what’s fair for both sides. And you, as the participants, decide what “fair” means. In California and Los Angeles, where these Community Property rules are in effect, divorce mediation is popular because it allows couples to divide their property by talking it out. Not only that, it ensures that each party has the same information and everyone knows the laws that apply. The most common knock I hear against other mediationfirms is that “so-and-so mediator is being partial to one side” or “x participant didn’t get to talk.” The advantage of mediation is open communication. If someone feels uncomfortable they need to speak up! It’s also part of the mediator’s job to make sure everyone is getting a chance to talk. It’s important to get everything out in the open. The mediator does their best to get everyone involved, but sometimes it can be hard to judge whether one participant is uncomfortable. Most importantly, if you have a question or an issue bring it up in session. These sessions are for you! Plus you’ll make our job a lot easier. We want to help YOU! Do you live in California or need the help of an experienced divorce mediator? Try Peace Talks, and check out the resources on this site for more information and helpful links. The TRUTH IS IRRELEVANT IN DIVORCE. When we think of disputes, most of us think that the truth is the key to the resolution of any disagreement. Get to the truth, and you have the resolution to the conflict. Yet, despite the words of P.D.Q Bach, “Truth is just truth. You can’t have opinions about truth,” how many of us see “the truth” the same way? Truth is said to be the foundation of the American justice system, yet how many litigants are satisfied with the outcome of the case once the judge makes a ruling? By its very nature, litigation results in at least half of the litigants being disappointed, and disagreeing with the mandated “truth”. This oath that’s stated by every witness in an American court is designed to bring out the truth. Honesty and veracity are important virtues— in the courtroom and around the mediation table. A witness who is perceived to be lying on one point—even a small one—may be disbelieved in other parts of his story. Having credibility and being believed is no less important in mediation—since mediation settlement requires voluntary agreement, you have to gain the trust of your adversary to conclude a deal. Truth is never irrelevant when you’re talking about credibility and trust. Does it really matter who downloaded the virus onto the computer system? Does it really matter how many times President Clinton was with Monica Lewinsky? Interesting? Yes. But whichever way this testimony came out or was perceived, what truly was important went beyond the truth of this evidence. Could the President regain the trust of Congress, the Cabinet, the American people, and his wife and daughter? Could Monica Lewinsky move on with her life? What happened was that the country’s focus disintegrated into partisan bitterness, when its energy and resources would have been better spent in improving the economy or protecting our citizens from terrorist danger. That’s what happens when when the focus shifts to the wrong part of the conflict. The country focused on “the truth” and the past, rather than the bigger picture, and more important goals. There are eight peace practices which are free and easy to stick to every day. They’ll help you stay sane no matter what, and we all know that sanity is at a premium at the moment of any divorce. An excerpt from the 8 Peace Practices chapter of Making Divorce Work, our comprehensive book on cooperative divorce, was published by Mediate.com. Sure, we’ve all felt like screaming at the top of our lungs at times. But we also know what it does to our blood pressure and ability to think creatively and problem solve. Using the eight peace practices contained in the 8 Peace Practices chapter will help provide some peace-of-mind even in the most difficult of times. Sure, they help during your divorce, but they also help when you’re stuck in traffic or in a meeting with co-workers. Divorce mediation rather than a divorce lawyer helps maintain the peace in your family–after all, you remain a family even if you’re divorced. The opportunity to have an uncontested divorce increses, in California or elsewhere, when you mediate instead of litigating. Mediators in family law help you talk to each other and say what you really mean without getting shut down or intimidated. Most trained mediators will give you sound legal information, and help you make a solid decision that works for you, your spouse, and your children. Just remember, the settlement needs to work for your spouse also, or he or she won’t sign it. And for YOU to get a settlement, your spouse has to sign. Everyone, divorcing couples and people on the street, sometimes think mediation is all about peace, love and warm feelings, and that mediators spend all their time talking about people’s feelings. That’s only partially true. Feelings between the divorcing couple are important. After all, you’re talking about everything you care anything about when you’re mediating: your future, your past, your financial security, how you’ll raise your children. There’s no avoiding it. Divorce includes feelings. It also includes the legal requirements as mandated by divorce courts, and that needs to be informed, thoughtful, and thorough. For you as an individual, you need both: a successful legal divorce, and a successful emotional divorce. Choosing the right mediator is important. You’re going to be talking with your mediator about everything you care anything about in the entire world: Your future, your kids, your home, your job…..and so you want to choose someone you feel comfortable with. Mediators are all trained in basically the same way, but each person has a different way that they practice. So ask if they have a free mediation orientation (or if they charge just to meet them) and do a little research. Click on the link above for our mediation orientation outline and information. 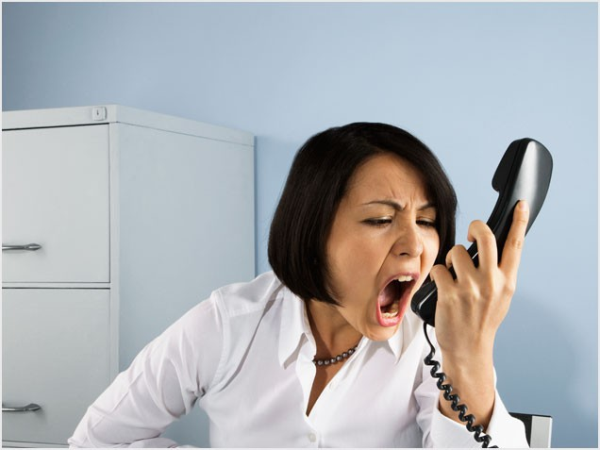 When you talk with the mediator and the office staff, how are you treated? Are they patient and do they answer your questions? Or is it just an answering service without any information and they are slow getting back to you? Are they generous with resources and do they encourage self-help? 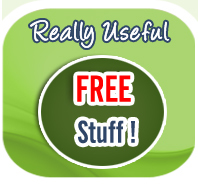 The “really useful free stuff” below includes an interactive divorce mission statement you can do in just a minute or two, an interactive divorce journal you can download for free, and worksheets and checklists to get you organized and started. 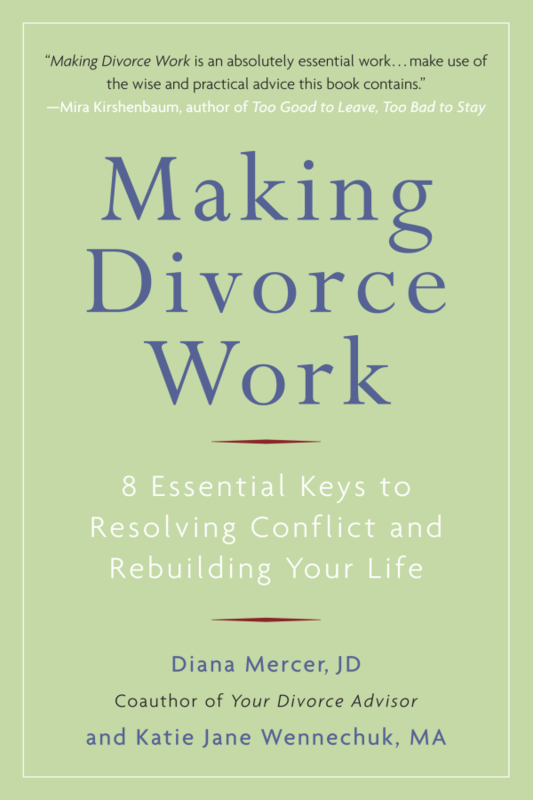 They were written by Peace Talks Mediation Services founder, Diana Mercer, as a supplement to her most recent book, Making Divorce Work: 8 Essential Keys to Resolving Conflict and Rebuilding Your Life. Need a mediator but you’re not in Los Angeles? Mediate.com lets you search for a mediator by your telephone area code. 1. Why did you become a mediator? 2. What do you see as your goal for a mediation? 3. What kind of commitment do you need form us to agree to mediate? 4. Will you want to meet separately with us? If so, why? And if so, would you hold secrets? 5. How familiar are you with Family Law? 6. Will you tell us how you think a court would decide our case? 7. How important is the law to you in mediation? 8. How would you deal with stalemates? 9. 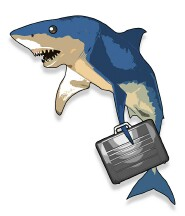 How do you feel about our using consultants, including consulting lawyers? 10. Would you talk directly to our lawyers? 11. How do you see your role in our communication with each other? 12. What is the place of our feelings in this process? 13. How do you feel about our talking to each other about our conflicts outside the mediation office? 14. What mediation training have you undertaken? 15. How much mediating experience do you have? 16. What is your fee? Can you estimate the total cost for my cases, or give me an average cost for cases like mine? 17. Do you require a retainer? That’s a lot of questions! But feel free to ask the ones that are important to you. How your mediator answers questions like these will give you a good idea of how he or she will answer your questions during your actual mediation session. You Want an Uncontested Divorce….but how do you get there? The concept of divorce mediation is relatively new, but recently it has been getting a lot more attention. Especially in Los Angeles, more and more people are starting to appreciate the benefits of an uncontested divorce. Collaborative divorce and other divorce alternatives, once considered fringe, are now coming into the mainstream. Of course it does! Think of all those expensive attorney fees you’re a saving. In fact, in Los Angeles alone, the average price tag on a litigated divorce hovers around $50,000 per person! Courts are so over-crowded, that some judges hear more than thirty cases per DAY! The entire process could take weeks if not months and in some cases, years. Cooperative Co-parenting is the trend. A very encouraging trend in divorce is cooperative co-parenting. It happens when both parents see a benefit in sharing custody of their children and being present for their development, even though they have separated. The basic premise here is that it’s much easier to be friends than enemies with your spouse. Uncontested and collaborative divorce helps to maintain a pleasant discord with your spouse, and alleviates unnecessary stress. The trend of collaboration between divorcing parties is certainly a welcome trend. It signals a shift in values throughout society, not just among divorcing couples. We are committed to talking things out, and working out our issues rather than letting a third party coldly decide our fate and the fate of our families. We are starting to see that it’s much harder to fight than it is to get along. Not only does it sap us of energy, it comes at the expense of our careers, our lives and the health of our children. There has been a great change in child custody trends over the years as well. Sharing custody is the rule not the exception. Both parents want to be involved in the upbringing of their children. I see this positive trend in my family mediation sessions: parents want to do right by their kids and make the best of a bad situation. Making the decision to share custody is one thing, but what happens if you don’t get along? The good news is that you don’t have to be best friends to share custody. If you could use the positive karma of settling out of court in a collaborative divorce, it could be the difference in maintaining that positive relationship when it comes to sharing custody of your children. Well, now your saying, of course, I want to settle out of court, but how do I do it? It’s not a one step process. But at Peace Talks Mediation we try and make it as easy as possible. We’ll guide you through the process so that it is easiest on you and your family. Filling out Paperwork is step one. You’ll find that hiring a mediator, attorney or paralegal will help you immensely. We are used to it and can help you make the process a breeze. There are also helpful kits and forms you can find online. Every divorce needs the same documents: Petition, Response and lastly Stipulated Judgment. Next is the Negotiation Phase. This is where Mediation services can really help. We foster a cooperative environment where everyone can have their say. We won’t try and get everything done at once. In any mediation session it’s important to keep everyone on the same page. These are delicate issues, but they don’t have to be complicated. We’ll work with you to get the peace of mind you need. Next comes the Disclosure of Financials. This is mandated by law. The state demands that you be accurate and thorough. Any over- or under- reporting can get you in deep water, fast. If you sign up for divorce mediation, we will provide you with the necessary paperwork to fill out. Remember, your spouse is entitled to see all of your financial records, and vice versa. In an uncontested divorce, cooperation, both with your spouse and with the law, is paramount. Which brings us to the last phase: The Agreement. Assuming that you’ve negotiated with your spouse a settlement that you can both agree on, you’re in the home stretch. If you decided to negotiate on your own, without the help of a mediator or collaborative divorce attorney, you’ll still have to go out and get the divorce. Hiring a professional mediator will keep you out of court and give you the freedom to separate on your terms, saving you from the burden of unnecessary cost and stress. Of course, these guidelines are just here to help you along the way. Divorce is tough. No one escapes the emotional toll. You probably never thought you’d be here. Especially if you have kids, it was something you never wanted to face. Having a support system to get you through it is just as important as having a good lawyer or mediator. Your friends, family, faith and any professional guidance you may seek, all play important roles. Be honest and forthright, stay confident, and before you know it, it’ll be over. Mediate Family Law, Don’t Litigate! Here at Peace Talks, we love Mediation. If you’ve spent any time looking through our site and blog posts, you know that already. It’s an easy sell, because, to us, it’s a no-brainer. Just look at a recent example: one couple came into our Los Angeles office looking to get a divorce settlement through mediation. Divorce in California can be tricky, there are divorce laws and fee schedules that can get complicated, not to mention courts are overcrowded to the point where some Judges are seeing over 30 cases a day! Their case was particularly bad. They had been in court for months, to the tune of $100,000 and had made ZERO progress! At Peace Talks Mediation Services we want to get your case settled as quick and painless as possible to get you on your way to your new life. That’s what we care about. Sure we’re a business, but we also have a vision. We realize divorce is something no one wants to go through. It’s scary and intimate and can bring out the worst in people. We understand, but we reject the notion that it has to be this way. If we can help people get settled for as little money and hoopla as possible, but be fair and leave you with the confidence to go on with your lives, we’ve done our jobs. Oh yeah, and that client? The one who had $100,000 invested in a litigated divorce and had enough? In and out of Divorce Mediation to the tune of $4,000. To get an idea of the cost of divorce mediation vs. litigation, check out the chart on our website. 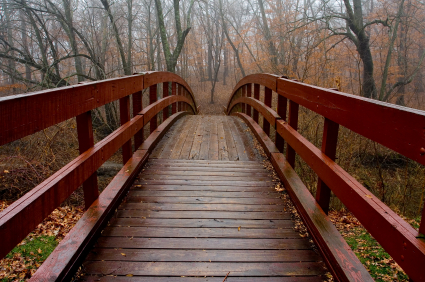 There’s also a great list of pros and cons of mediation vs. litigation. 1. It’s cheaper – Duh. In real numerical terms, it’s over 90% less expensive, on average, than going through litigation. 2. You decide the schedule. It’ll go as quick or as slow as you want it to go. It’s your decision, not the court’s. 3. It will preserve your relationship. Eliminate that added stress and negative energy of a contentious divorce. You don’t want to always be thinking “what if I run into him?” at the store or at the gym. Especially if you have kids, it’s important to keep that familial bond. 4. It’s more child-friendly than any court option. You care about your kids and so do we. Mediation will teach them that Mommy and Daddy can work things out with respect and understanding. More on kids: I was talking to a child psychologist the other day, and they were telling me how easy it is to avoid behavior problems after divorce. Her advice: Be An Example. There is a direct correlation to how kids do after divorce and the amount of conflict between their parents. Mediation helps you avoid conflict. Even clients that come into our offices thinking they have it all figured out often have layer upon layer of conflict waiting to rear its head in our sessions. We help them get through it. That’s what we’re here for. Each session is molded to your specifications and to your unique situation. We never have a set agenda, it’s what YOU want, not us. We have even implemented a sliding-fee scale. Contact us and we will review your case to see if you are eligible. It’s “Divorce Made Easy.” We want our services to friendly and affordable, the opposite of what most divorce attorneys in Los Angeles provide. Remember, don’t litigate…MEDIATE! I have a 25 hour beginning family law mediation course on DVD which I sell on my web site and Amazon.com. As a result, I get questions about how to mediate from some of the “students” of this taped course. One in particular, a lawyer up north, is my new pen pal of sorts. I’m delighted he’s using the materials. But I was a little surprised when he said that he feels like the “evaluative” style of mediation is best and helps people reach better agreements faster. The evaluative style of mediation is how I was originally taught to mediate back in the 90’s in a court sponsored mediation program. Basically, an experienced lawyer or judge will evaluate your case and tell you what the most likely outcome in court is, and then try and talk you into doing that. What I found was that this method worked in the moment; parties reached an agreement. But because the parties hadn’t had much input into the process, these agreements tended to fall apart pretty quickly because the outcome was what the lawyer thought (or in the case of this particular mediation program, what I thought) and not what the parties wanted (or at least what they could live with). And the people landed back in court. Over the last 13 years in our mediation-only practice, I’ve learned the value of hearing the parties’ perspectives and goals, and I do a lot more listening than I used to do. The agreement that is reached needs to work for the parties—the people who are living with the outcome—and not necessarily for me or my ego. So while I’ll offer a suggestion if the parties are stuck, and I’ll educate them about the law, my days of starting the discussion off with “here’s the law and here’s what would happen in court” are over. And each year that I mediate, I listen more and push less. I think that the evaluative style is adopted by attorney-mediators, particularly early in their mediation careers, because it’s what we’re used to as attorneys: back when I represented individual clients, I told them what to do. I told them what I thought would happen in court. So when I became a mediator, I did the same thing. I just had 2 people in the room instead of one. This model was comfortable to me. What I was missing is that a mediation is not about the mediator…..it’s about the parties. When it’s all about the mediator and not about the people involved, it’s easy to alienate one of the parties…the person who’s “wrong,” so to speak. And then what happens? The mediation falls apart. And let’s face it, who likes to be told what to do? As I’ve gotten more comfortable mediating, I’ve also gotten much less evaluative. What I’ve found is that most people are pretty sensible (yes, even the people who are behaving kind of wacky because divorce is a crazy-making time), and that they’ll make a good decision if they have the right information, time to think about it, and emotional support as well as professional support. So we do a lot of educating in our office. We reality-test each of the possible choices people can make. Is it feasible? Can you afford it? Can you really adjust your schedule to honor the parenting plan you’re thinking about? Does it fit with your short and long term goals? If it doesn’t feel fair, does it feel fair enough? And if the answer to any of these questions is no, then we keep working. I miss trial work. Doing trials was fun. It indulged my inner actress and let me show off everything I learned in law school (which was mostly that if you prepare like crazy, you usually win). But it wasn’t so good for clients and their families. Even if your client won, by the time they won they’d alienated their former spouse, spent most of their savings on attorneys fees, and often they’d put themselves and their kids through an emotional wringer. Not much of a win, huh? What I’ve learned as a mediator is that couples who are divorcing have more in common than they think they do. Most of the issues that cause trouble aren’t legal questions. They’re relationship issues, or money issues, not so much something I need to research in a law book. And that given the right kind of information and an opportunity to discuss and think about the situation, they can come up with a solid, sensible, and fair decision that works for everyone.